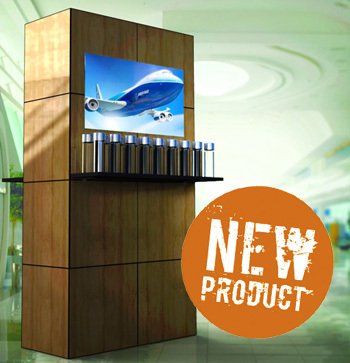 Attract new customers with the MultiQuad Media Kiosk. 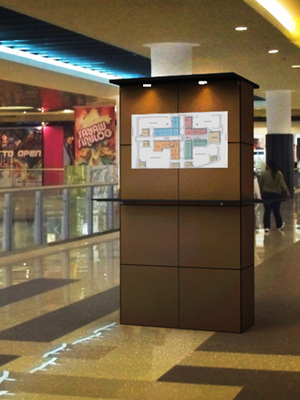 Complete with integrated monitor(s), the MultiQuad Media Kiosk is ideal for retail locations and high traffic interior locations. It can easily attract attention with interactive video or product displays. Easily transport and share between locations with convenient portability. So convenient it can pack and ship in most standard vehicles. What is a MultiQuad Media Kiosk? How does the Media Kiosk work? 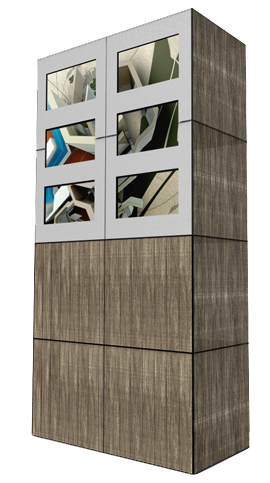 Choose the 1 x 4 or the 2 x 4 or combine them together to create a larger kiosk. MultiQuad Media Kiosks are available in a variety of sizes. You can choose the one that works best for you or combine two to create a larger display. No matter the combination, you will end up with an attractive kiosk that integrates high technology seamlessly and securely. 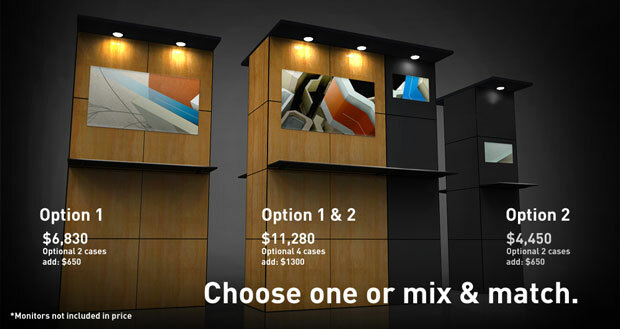 You can select one of our standard sizes, a 1x4 or a 2x4, or you combine them to create a larger media kiosk. If you decide to go bigger, you can always seperate at any point to create two indvidual kiosks. Need to move locations? No problem. Change the appearance. Done. 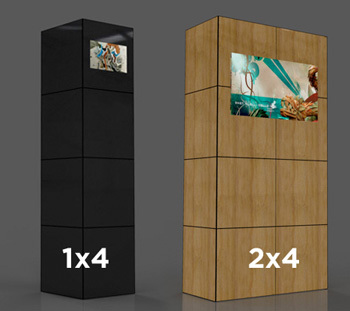 The MultiQuad Media Kiosk is one of the most flexible display tools you will ever work with. You can change the look and style of the kiosk in seconds. And with lightweight aluminum framework at the core, the MultiQuad Media Kiosks are easy to reposition and pack and ship. 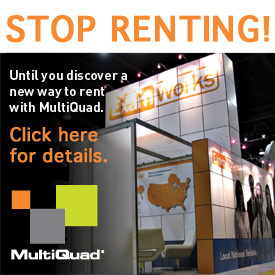 The MultiQuad Media Kiosk is so easy to move you can even pack and transport in most vehicles. This makes it the perfect resource for your sales team. They can take to a local event, travel with it to trade shows, and when not needed by the sales team, set it up in your lobby to share info with visitors or display in your corporate break room for employee announcements. This is one product you will always have a use for. Using the Ladder Mount you can added multiple monitors to your Media Kiosk. It can hold monitors on both sides of the exhibit and in horizontal and vertical positions. Enhance your Media Kiosk with a shelf, canopy and lighting. If you are combining two units you can add an accessory to one side only or extend across both. See the images below for some ideas.